natural glow, restoring smoothness and youth as early as the 1st treatment. A series of 4 sessions helps to visibly diminish the signs of time. acids, the epidermis is gently regenerated, cellular renewal is intensified, the complexion is cleared, wrinkles and fine lines vanish. Treat yourself to the best of both. 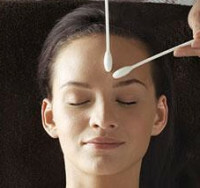 This treatment incorporates our Ultimate Facial with a full body massage. 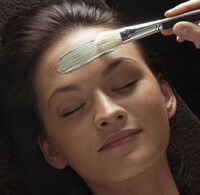 or all of the above, after discussing your concerns and analyzing your skin, I will design a facial especially for you. We will also discuss a plan for your long term skin health. If you are looking for a more dramatic result, these chemical peels will bring new life to your complexion. There may be some downtime with these facials (light peeling or redness), so it is advised to schedule accordingly around events. This teen facial is a vital priority for the skin health regimen and well-being of all adolescents affected by skin imperfections. To be performed on a regular basis from the onset of the acné and imperfections issues. It includes deep pore cleansing. purifying mask and balancing cream. This repair process begins almost immediately and results in a thicker dermis and softening of wrinkles or scars. For more information please contact us to see if this treatment is right for you and to schedule appointment. Target areas only will be priced accordingly. The Finer Face Microcurrent Non Surgical Face Lift Unit uses a totally safe and painless low-level electrical impulses to "re-program" the facial muscles back into shape. 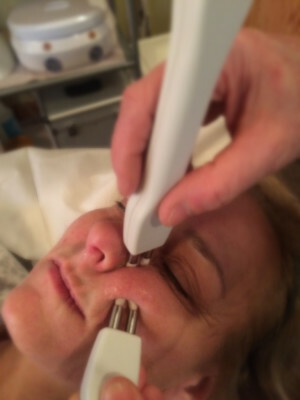 This microcurrent in turn supports the facial skin giving you immediate results after just one treatment. The facial contours are uplifted and toned and the complexion is left glowing as the microcurrent gently stimulates the circulation. Micro-Current works in synergy with the body's own electrical system. This gentle current will re-educate and shorten the delicate facial muscles resulting in improved muscle tone and a more youthful appearance. This is the secret that the Hollywood stars use before an event. With a series of treatments your face will maintain the effects. It's like a work out for your face, strengthening and toning your facial muscles! The treatment is completely pain free and the effects are long lasting after a series of 12 treatments. To help continue the effects a touch up treatment is advised every 60-75 days.